Before lagataw.com came to existence, there was adonisextreme.multiply.com. This was the birthplace of Lagataw. It was where my next few steps were nurtured by the climbers I look up to ‘till today! It was where I was inspired to climb by the pictures of the climbers I was emulating! I thought I’d never be able to do what they could! But look what they’ve done! My feet won’t stop moving! I’d like to start with a group that I constantly exchange information with. OLAY Mountaineers was this cool bunch of guys and gals who were the one-mountain-today-and-another-tomorrow sort! I became close to OLAY mountaineers in multiply.com through our funny and cordial comments in our posts. I never climbed with any of them but I have drunk with Mikoy (Jan Michael Arejola). And Erick Bautista who happened to be my neighbor was my guest at home a couple of times. And last month (2 days before my first invitational climb), we met again in Megamall. I squeezed myself in his five-day vacation in the Philippines from Singapore. I don’t know how they came together but before I knew it, the group just got bigger and bigger until some switched to diving, some went abroad and still some just settled down! Sir Randaile ‘Daile’ Tugade was the halimaw of the bunch. He was the master planner of most of their events. I had been a big fan of his page (particularly his album on Mt Amuyao) even before I bought my first trekking shoes. Sir Daile still organizes climbs for their group and although these climbs are no longer as noisy as they used to, they are still as extreme! Another multiply buddy who became more of a brother to me is Michael Magdadaro aka Mikelmags. He is a righteous man! That’s an understatement. I once told him, I would trust him more than I would another me. When I visited Cebu in 2008, he toured me around the city and told me of an untouched paradise in Samboan. He provided camping stuff for me and my friends when we camped at Cebu Mountain View. Last December I did what little I could to help him around Manila when he came for a photography workshop. Knowing this guy gives me hope that there really are still people out there who are genuinely altruistic! And their passion to share is what drives me to pay it forward! He has lain low on the outdoors and focused on photography. But his heart has never really shut up the call of the wild! Another Cebuano brother happened to be a namesake of mine. 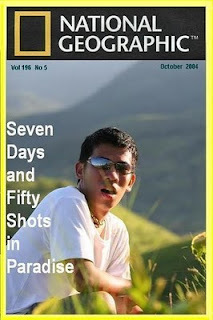 Adonis Meandro Abao, has climbed with me three times since we met in multiply.com. He led me through Osmeña Peaks down to Kawasan Falls in 2009. He climbed with me in my first attempt on Mt Baloy-daku in Iloilo in 2009. And last December (2010), he brought me to Mt Kanlaon. Though only O-peak was the success in our climbs, the companionship and adventure compensate for the foiled mission. Mark Alvin Evangelista shares with me some of my greatest adventures. 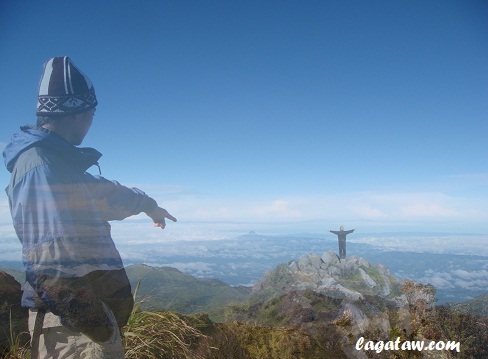 Our unguided Mt Tenglawan exped was an unforgettable test of our instincts and fortitude. Our G2 experience was a test of our patience and endurance. Our Arayat traverse was a test of our luck. And our Amuyao ‘tragedies’ was a test of our being responsible. My last climb with him was in Mt Apo via Sibulan trail (Aug 2010). It was his temporary farewell climb. He is now in the Middle East and it pains me to know that he’s no longer readily available for my topak climbs. Just like AM Abao, Alvin can make do with my “ETD Manila and ETA Manila” itinerary! We don’t ask questions. We are allergic to detailed itineraries. We just pack our bags, head for the bus station and let the adventure roll! That’s my definition of a climb buddy! Some of my multiply buddies have moved on with their lives after five years of climbing and travelling. Some of them are already in foreign lands. But I’m still here, climbing and still thinking of what to do for the rest of my life. l feel lucky to have met Ivan Basio, Emmanuel David, Drew Amolar and Billy Morales before they tire of walking the trails. I know someday I will…just like everyone does. But Sir Edwin Gatia is right. Let’s make the most of life while we are still young and able! This blog is great! Keep it up! You sounded like an automated spam message there.haha but then, when i published your comment, there were no clickables, so I figure this is for real. I miss multiply! Thanks for dropping in!